Join the ride to better health! Whether you think about it or not, it is actually the right of every human being to enjoy good health every day of their lives. Yet most don't for whatever reason and it is this aspect of life that I'll take a look at in this article. When we get our heads around the subject of fitness and health, we tend to think of making a combined effort with exercise and a good diet to bring about results that we want to visibly see in ourselves. However, what if we were to take each of those concepts individually and take a good hard look at them. In other articles on this site, I have looked at the concept of exercising for health and fitness. So right here, I will look at the importance of eating a healthy diet for promoting the best in health and also physical fitness. When it comes to dieting for the best health, there are certain points that need to be borne in mind if success is to be achieved. What are these? Let's start with what is probably the most important factor, which is in ensuring that the diet is well balanced, as natural as possible and contains all the nutrients necessary for the body to maintain a healthy aspect. There are several ways of going about this. But one of the best ways is to make use of the services of a qualified nutritionist. Here is a person who will be able to ascertain your own personal requirements and match them to your body shape and size. 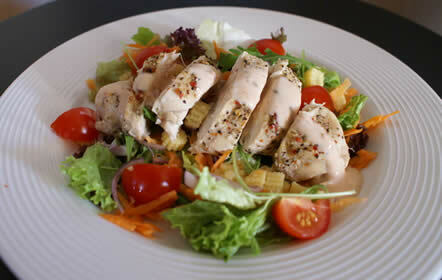 At the same time, they will be able to formulate a personal diet plan that is best suited to you as an individual. Getting a good balance of all the essential nutrients and food groups is essential for good health. These are proteins, carbohydrates, fats and dietary fiber. Carbohydrates can be subdivided into low and high glycemic index versions, with the low GI version most beneficial as the sugars are released more slowly and don't produce the glucose "hit" which floods your blood with high sugar levels fast as does the high GI carbs. Fats can also be subdivided into saturated and unsaturated fats, with the unsaturated ones being further subdivided into polyunsaturated and monounsaturated. There are the omega fatty acids that are essential to health and olive oil provides the best source of monounsaturated fats. Another option which is favored by people who lead busy lives is to pay for a propriety diet plan that is delivered to their home and is ready to go in a convenient package. This type of diet is generally an acceptable alternative when no other option is viable. There are several major diet companies that provide this type of home delivered, meal replacement diet program. One of the best known of these is Nutrisystem. More information and details about the company are revealed in this comprehensive Nutrisystem review article here: https://nstuf.com/nutrisystem-reviews/ and can also be found throughout that site too, which specializes in information concerning this diet food delivery company and details the many reasons why this is one of the most popular of this kind of company in the United States. Of course, the very best way to ensure the best food gets put on your plate every day is to go out to the store, buy all the fresh, organically sourced ingredients you need and then prepare and cook the meals yourself. That way you can be completely certain of exactly goes into the food you eat and by gaining a good knowledge of nutrition and diet you can ensure your body gets the right fuel it needs to maintain its physical health in the best possible way. Whichever way you go about dieting for health and fitness, you should still make a point of combining it with an exercise plan. This is in order that you gain the maximum benefit from the food you are eating and the nutritional benefits it provides to enjoy the right to good health for all of your life.